Líl̓wat Nation’s Levi Nelson has won the 9th annual IDEA Art Award and a $5,000 cash prize. 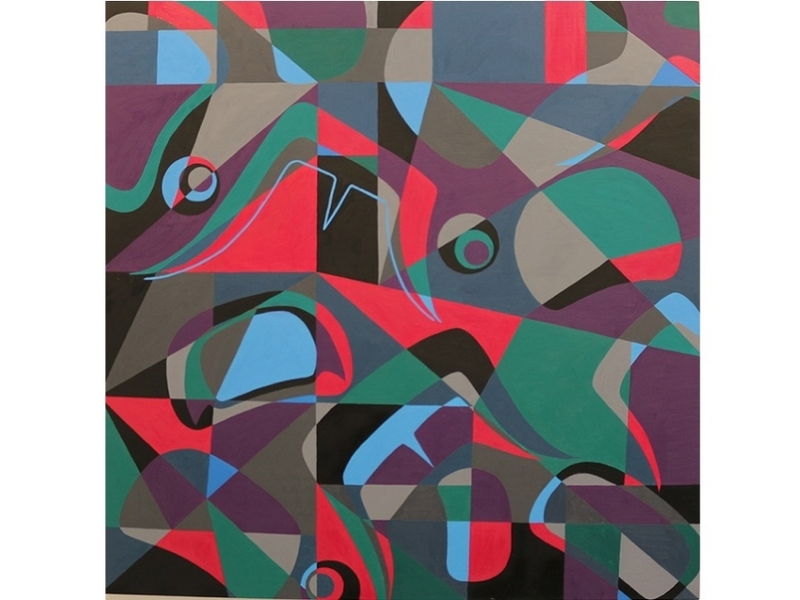 He won for his four-panel painting titled Biology, a fusion of contemporary style and traditional First Nations art. A detail of the first panel is pictured above. The third-year Visual Arts major was committed to winning the award after being shortlisted last year for his painting Anthropology. The award recognizes that art has the power to transform and transport and can be healing. The IDEA Art Award is open to current Emily Carr students and alumni who have graduated within the last three calendar years and places the winning pieces in different areas of Vancouver General Hospital or UBC Hospital as part of that facility’s permanent collection.